Tricksters is one of the oldest classes Arabian has been operating and since 2015 has taken on a new look with the age being capped at 12. 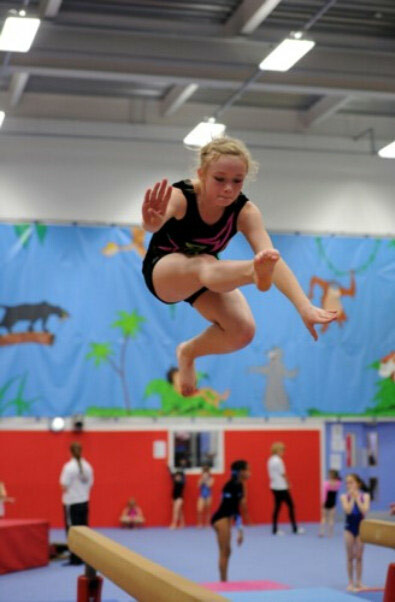 Gymnasts can be up to 12 years old out of the 40 children that are registered. This class has seen many gymnasts go on to win medals in competition, if they want to compete at recreational events. One of the most demanding classes to teach as the children get older and of course change with age, so often they find some moves too difficult so its always a challenge for the coaching team. We aim to balance keeping the moves within reach of their abilities but also ensuring they have targets to aim to. It is a popular class and we often have waiting lists for joining but do get in touch to check. Some gymnasts have been in the class for over 9 years, as its just a class they enjoy. For the two hours a week, there is no pressure put upon them to reach targets, but to just do their level best and enjoy trying. The targets they do have are always within reach and they have certificates to work towards as well as rosettes for individual moves they master. Classes do continue through the school holidays.